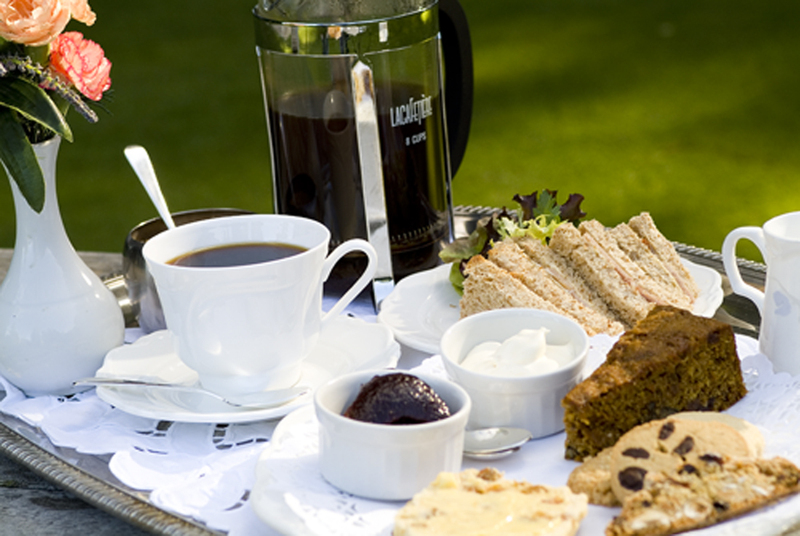 Tea or coffee, finger sandwich, scone, jam & cream, mini Eton mess, homemade cakes, shortbread. Bottle of Prosecco for two, £7.50 per bottle, 20cl. Butter roasted breast of Chicken with vanilla & apple chutney. Poached Salmon with homemade cucumber relish. Cheese with homemade tomato & chilli chutney.